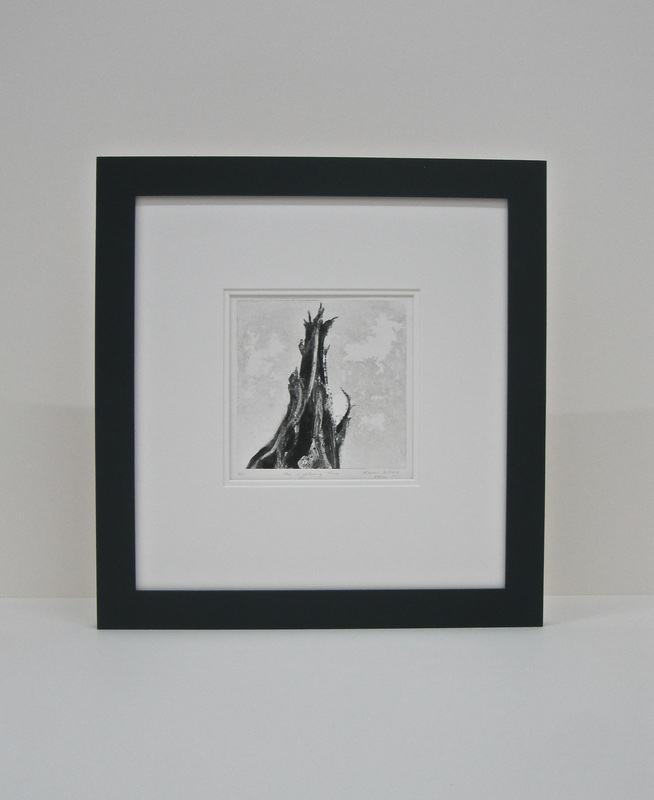 Monoprint by Karen Colley with a double Conservation Window Mount in a hand painted Tulipwood frame, glazed with Museum Glass. The minimum requirement is that artworks be mounted using Conservation board (acid free solid core board made from akaline buffered wood pulp) using acid free tape and backed with Conservation board. All framing work carried out in the studio uses Conservation or Museum grade materials. ​Museum Framing is recommended for valuable works as it is to a higher standard than Conservation framing. Museum Board is 100% cotton rag, Museum Glass has both a UV filter and an anti reflective coating. 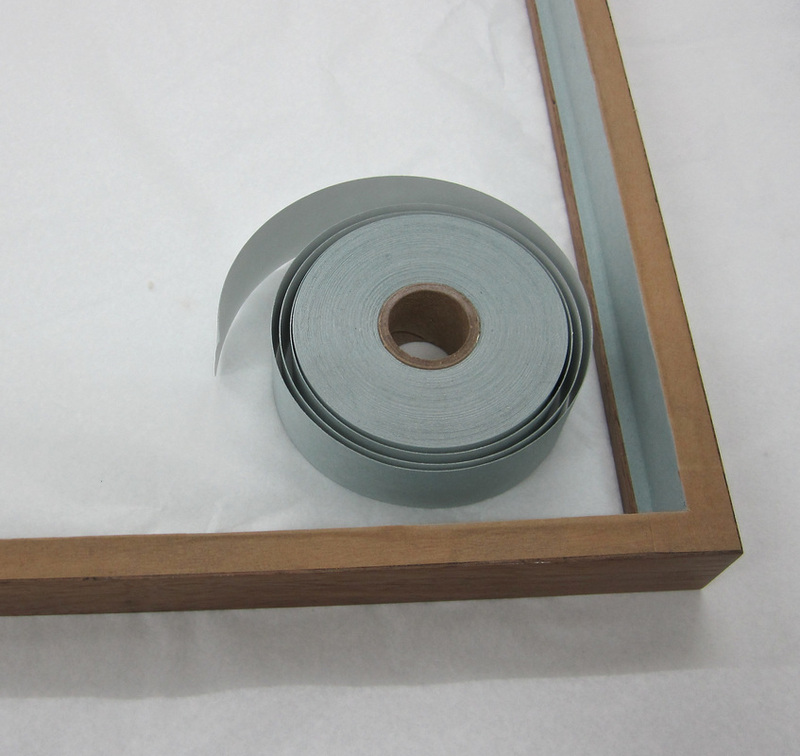 Furthermore the inside of the frame itself is lined with aluminium tape to prevent any possible migration of harmful residual material from the wood moulding. Walnut frame lined with aluminium tape prior to fitting Museum Glass and spacers. Strictly speaking any work on paper should be glazed with Conservation Glass (anti UV filter coating which removes 99% of harmful ultra violet) to prevent long term light damage. This is full Conservation Framing. ​Artwork can be window mounted or floated inside a window mount. For Box Framing the work can be float mounted (fixed directly with acid free tape to the mountboard) or feather floated. With the latter the work is attached to a platform which is then raised off the mountboard in order to achieve a 'floating' effect inside the Box Frame. There are examples of these mounting techniques in the Gallery section of this site. For more on glazing options and light damage see here.